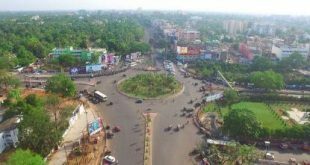 Bhubaneswar: Proving its consistent global presence as a promising Smart City, with use of technology and vision for citizen-centric initiatives, Bhubaneswar has secured the 32nd rank among the top 50 best Smart Cities of the world. The rankings were based on the 10 parameters like Clarity of Vision, Leadership, Budget, Provision of financial incentives, Support programmes, Talent-readiness, People-centric approach, Development of Innovation Ecosystem, Implementation of Smart Policies and Track Record of Previous Initiatives and Projects. This is the first independent ranking of its kind that investigates the roles that city governments play in leading a Smart City strategy, beyond celebrating the technological attainments of the cities themselves. The ranking was announced by Singapore-based Eden Strategy Institute on July 9, from a study conducted in partnership with Singapore-based ONG&ONG Experience Design that analyses the diverse approaches towards developing smart cities around the world. Interestingly, while London is at the top of the list, Bhubaneswar with its rank 32 is well ahead of world cities like Dubai (40) and Paris (46). Among the other Indian cities, while Ahmedabad is in a tie with Bhubaneswar, New Delhi (23) and Surat (27) are followed by Jaipur (34) and Pune (36). 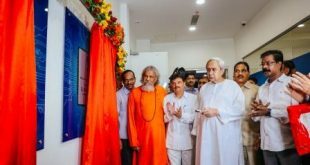 The Bhubaneswar Smart City Plan (SCP) redefines the concept of “Smart Cities” and outlines a citizen-driven vision for the future by using technology to help residents gain better access to city services, and improve the overall quality of life. Ranked first in the Government of India’s Smart City Challenge and made it to the final list for the World Smart City Awards in 2016 held at Barcelona, Bhubaneswar played a pivotal role in redefining and demystifying the concept of the smart cities movement in developing countries. 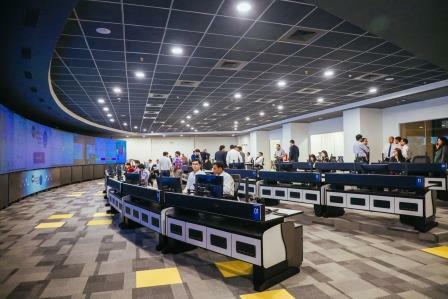 Created on behalf of the Bhubaneswar Municipal Corporation, the Bhubaneswar Smart City Plan has created a state-of-the-art command and control centre, called Bhubaneswar Operations Centre, the biggest in India so far, is all set to integrate multiple city systems, including traffic management, parking, bus/transit operations, smart utilities and emergency response. The plan also calls for the redevelopment of 985 acres around the centrally-located transit station into a vibrant 24/7 destination called the Bhubaneswar Town Centre District. The City’s holistic and socially smart strategy has been a recipient of several accolades for its implementation since, including the 2016 Award of Merit in the international development category by the Canadian Institute of Planners and then Pierre L’enfant International Planning Excellence Award 2017 by the American Planning Association. 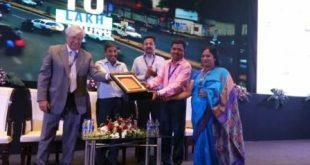 Councillors from all wards, Deputy Mayor K Shanti and officials of BMC celebrated the achievement of the city as it received a new world ranking by Singapore based Eden Strategy Institute. Mayor Ananta Narayan Jena thanked Team Bhubaneswar for the great success and termed the win for Bhubaneswar as the win for the citizens. He also called for a more participatory role for the citizens in order to achieve more international rankings.